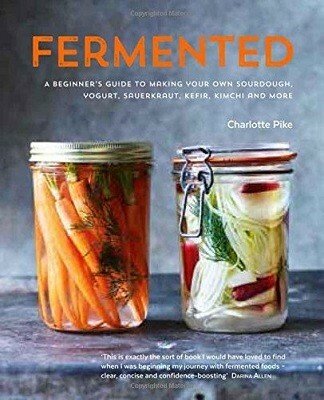 Incorporate fermented foods into everyday eating with delicious recipes that are easily achievable at home. Chapters covering fruit and vegetables, milk, pulses, sourdough baking and drinks will introduce you to unique new flavours as well as traditional fermented vegetables such as German Sauerkraut and Korean Kimchi. Learn how to make the most delicious and useful ferments at home and then use fermented ingredients in dishes such as Persian aubergine stew, Korean pancakes, dosa and grilled miso chicken. Learn how to make sweet and savoury yogurts such as homemade Coconut Yogurt or Cardamom and Rose Yogurt Cream and not just bake bread with your sourdough, but delicious treats, such as Sourdough Chocolate Cake. Create essential pickles, sauces and chutneys with fermented vinegar that will have endless uses, fully stock any kitchen cupboard or make an excellent homemade gift.